New York Style Pizza Dough is the epitome of delicious! 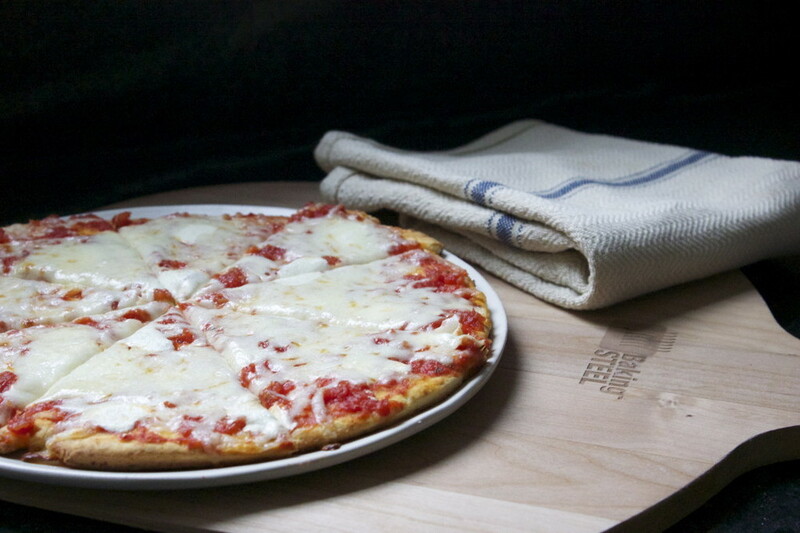 Here's more good news-this style pizza cooks perfectly in your home oven on a Baking Steel. In place of sugar, we added a little Mike's Hot Honey to the dough. That's just how we roll. Enjoy! It seems more and more often I am being asked about "gluten-free" pizza dough. Gluten is the protein in wheat, rye and barley, that can commonly occur in pasta, bread, beer and many other processed foods containing these grains. For me, I just say I love breakfast. It's so simple and tasty. It's all about the ingredients, nothing over the top, just good ole breakfast food. So that's where we get to the biscuit. Learn how to fold your dough into a perfect dough ball. There are a lot of schools of thought on a whole wheat pizza crust. I've messed around with 100% whole wheat dough, and I wouldn't really call it pizza. An all wheat crust will have prevalent nutty flavors but the crust itself will become very dry and hard. An Irish Breakfast pizza, made on the Baking Steel! Today is National Pizza Day! Unfortunately, I just learned this yesterday. I had to get in the game, but there was one problem-I hadn’t prepared a fresh batch of dough. I took a peek in my fridge and found a dough that was dated, 1/24/15. Doing the math, this was a 15 day old pizza dough. For the Krug champagne dough, I swapped out water for the champagne. After making the first batch, I realized it was a little dry. My thoughts of enjoying a glass of bubbly vanished. Instead I made a second batch using 420 Grams of Champagne, to account for the carbonation. I get asked almost every day for a gluten free pizza recipe. Isn't that an oxymoron, gluten free pizza. I've scoured the web for gluten free dough recipes and they all have one thing in common. A lot of ingredients. We're talking about xanthium gum, tapioca flour, rice flour, chickpea flour, to name a few. It's an arduous task to say the least. A few weeks back I found a pre-made gluten free pizza crust mix available off the shelf. For a novice gluten free guy, this was my answer. When I noticed that Food and Wine magazine ranked the Cup 4 Cup founder, Chef Lena Kwak, in their October issue as one of the, "Most Innovative Women in Food and Drink", I figured it was worth a shot. Cup 4 Cup gluten free pizza mix is available at some Wholefoods locations as well as William Sonoma. I haven't tested any other products, but I can confidently say if you follow a gluten free diet, definitely give this product a shot. And we did have our secret weapon, the Baking Steel. 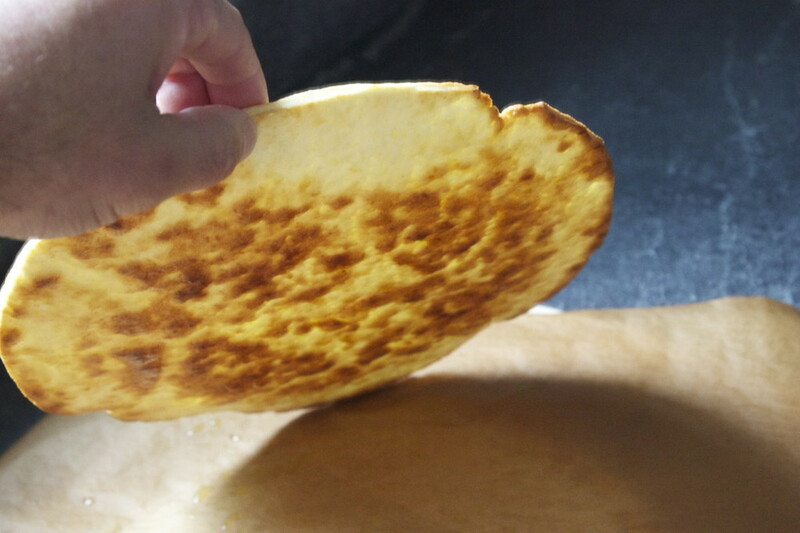 Just omit the pizza stone and bake the gluten free dough directly on the Baking Steel, it's going to cook beautifully. Gluten free pizza is not going to replace traditional pizza anytime soon, but if you have dietary restrictions it is a nice substitute. Please follow up with us if you have used this or any other gluten free product. I would love to learn more. Just follow the directions and you get this mildly springy dough creation. Literally just add 1 cup of water, 1 egg. Mix by hand until you get this formation. It's ready to roll..Your going to need a rolling pin. I didn't like this shape for pizza, so I took a round plate and made a round dough, see below. Using a round plate enabled us to make a round pizza. Coat both sides with olive oil and poke some breathing holes with a fork. Ready to bake. Our first gluten free pizza would be a simple tomato sauce with a few cheeses. This one with baby fontina, shredded low moisture mozzarella with a few specs of fresh mozzarella. Boom! Our gorgeous and pretty flavorful gluten free cheese pizza. We had one more dough, this one has tomato sauce, fresh mozzarella and we topped with fresh arugula. Let the imagination run wild and create your favorite toppings on a gluten free dough. The bottom crust cooks beautifully on the Baking Steel.